The Photos and Story view displays any image linked to the current person next to their story. Fig 1. The Photos and Story view. 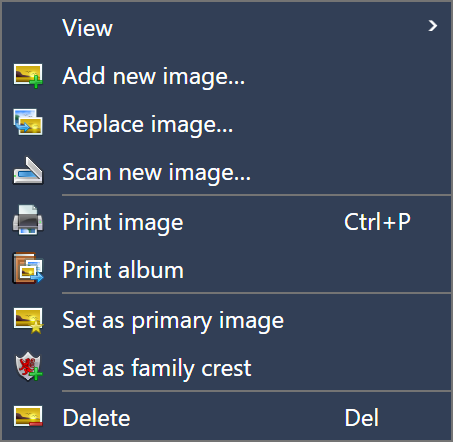 New images can be added by dropping them into the image panel or by using the File menu or right click menu over the image panel. You can also scan image directly into the application. Image can be printed directly from My Family Tree either individually or as an album. 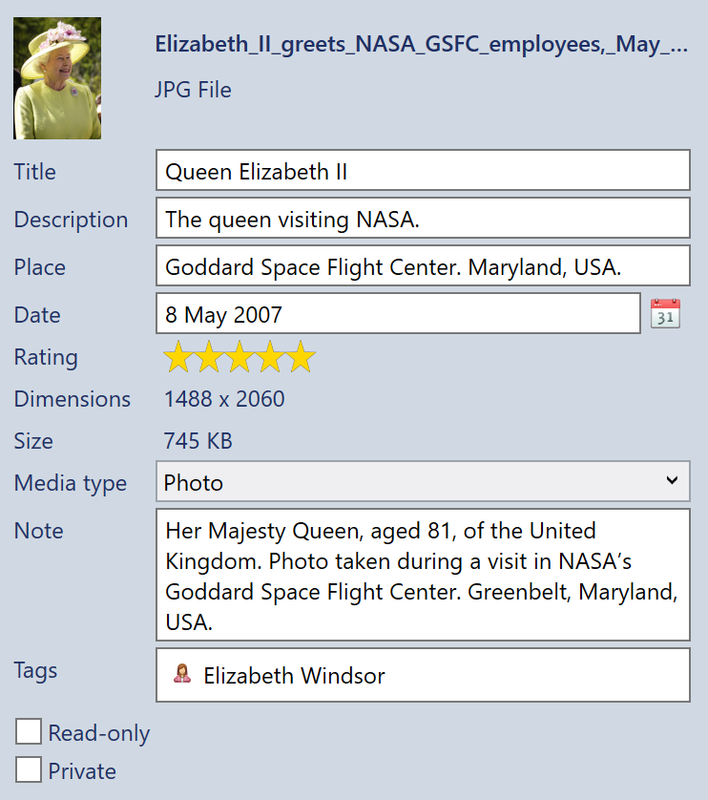 You can add information describing each image in the image properties box. You can record the title, description and place associated with the image as well as the date the image was taken. For some images, this information will already be specified in the file metadata. For other files such as scanned documents, you may need to set this manually. To view and edit image properties, check "Show properties" in the View menu. Images can be tagged to other items in your tree. To add a tag or remove tags, use the image properties editor. 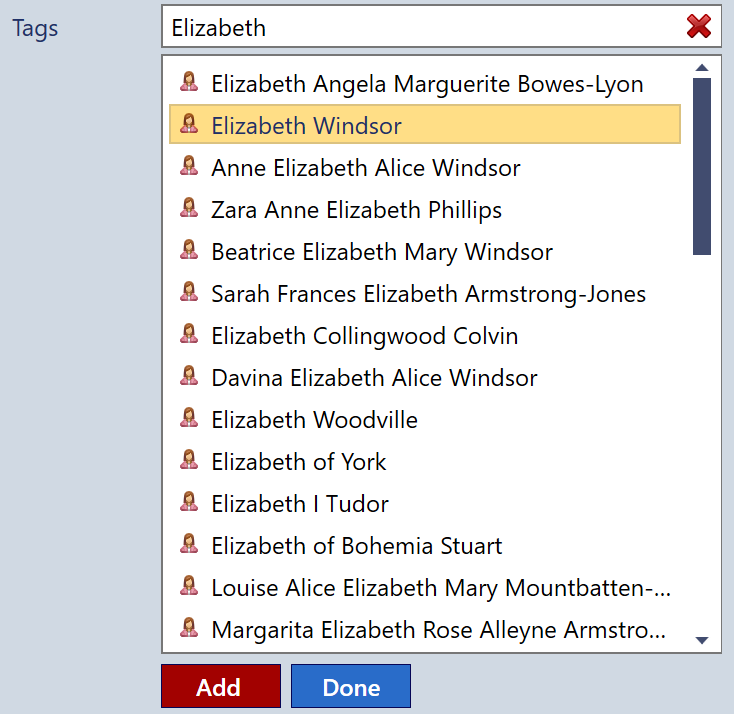 Click to add the first tag and right click the tag list box to add more tags or remove existing ones. Fig 4. Adding a tag. Fig 5. Selecting taggable items. You can apply basic image effects to images. Image effects can be applied from the photo editor toolbar. You can enable the toolbar from the View menu when viewing the image without properties. Fig 6. Photo image effects. Images can be previewed directly in the preview panel. Double click on any image to load it in the default application on your computer. 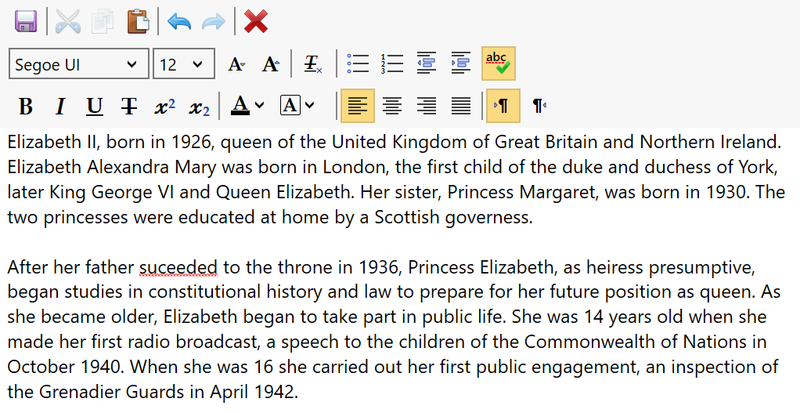 A story is an editable text document which is linked to a person in your family tree. It can be edited just like an ordinary word processing document and can be used to store additional unstructured information about a family member. 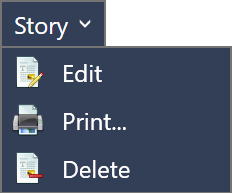 Use the Story menu to edit, delete or print an existing story. Fig 7. The story menu. When viewing a story you can right clicking over the story to display additional story options. 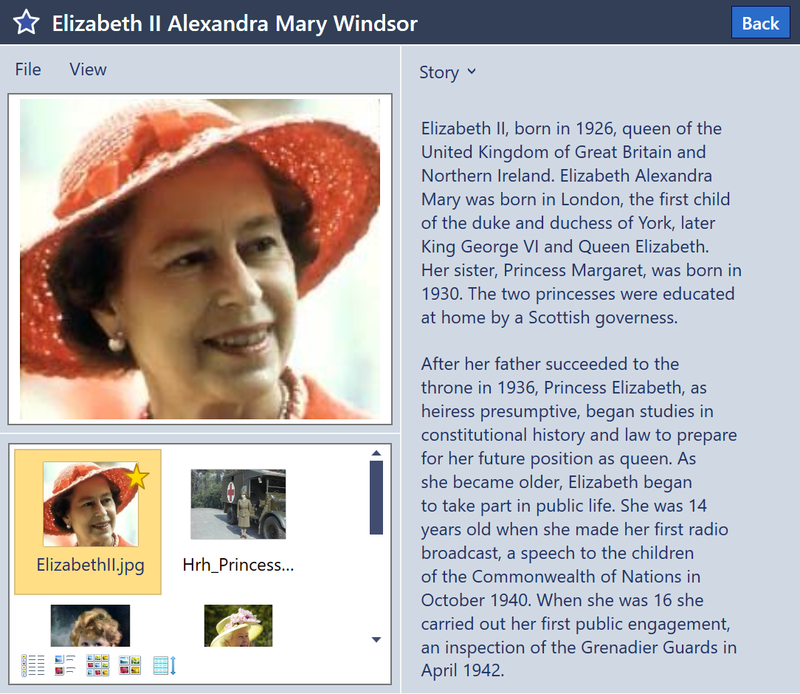 A useful feature is the ability to add highlights and text notes to the story and is designed to help collaboration between different people working on the same family tree. Fig 9. Adding sticky notes and highlights to story text. The story can be edited, saved, printed or deleted via the Story menu. Spell check is available in the edit view. A standard set of text editing tools are available.